It sounds like there has been a lot going on at the Game Developer's conference in San Francisco this week, with a lot of talk about 3D worlds. . Apparently the rage is for Massive Multiuser Online games (such as World of Warcraft), with a number of large media companies trying to get in on the act. 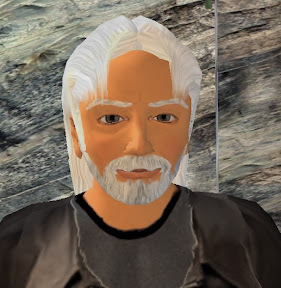 In the meantime Second Life was predicted as being the prevalent "non-gaming" environment in the short-term. 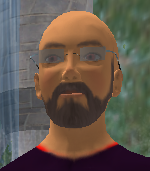 The trend is for social networking to encompass 3D environments.... which is in line with my experience of Second Life being an environment that engenders communication; the experts at the conference expect there to be a lot of experments in convergence between social networking and MMOs. "Five years from now, as social networking site without a 3D universe will look like a dinosaur"..... so the experts in San Francisco see the ubiquitous 3D interface being no more than 5 years away. Meanwhile Sony announced that they are to enter the 3D MMOG space in the autumn with a PS3 based game . I guess that they are trying to compete with the X-box live space of online gamers, who nummber several millions. I did wonder a while ago whether or not it would be viable for someone to develop an SL interface for the X-Box or PS3. I guess with this announcement, Sony are doing the whole thing themselves! A video of the Sony announcement can be seen in the 3PontD blog. SXSW is where it's all at this weekend. Get yourself down to Austin, TX and get virtual! wrt Sony, this should be interesting. If they've outsourced the build then it could be really cool - if they've done it themselves then their track record is not great. Rootkit? Sony Connect? Not good. I've pointed out elsewhere that they will probably have to handle a massive influx of residents very quickly. We know what fun LL have had with their growth... that could be chickenfeed compared to the scaling issues Sony might face. Interesting times, eh?